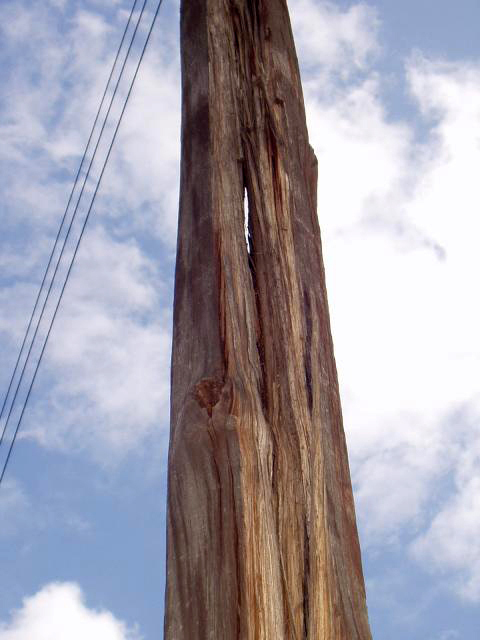 Utility Wood Pole Inspections & Supplemental Treatment. 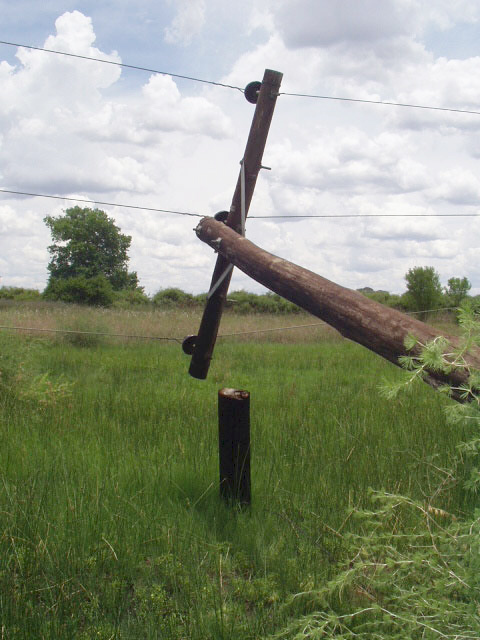 Experienced and accredited inspectors inspect utility poles to identify unserviceable poles in an electrical power system. 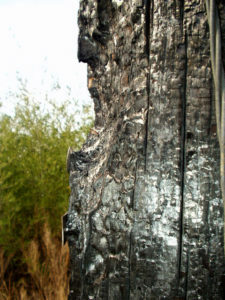 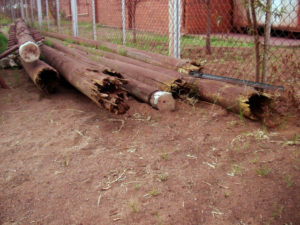 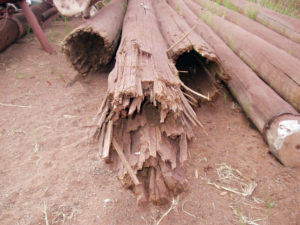 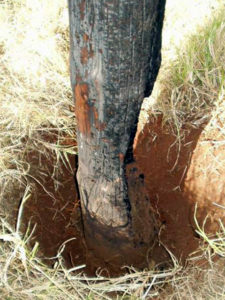 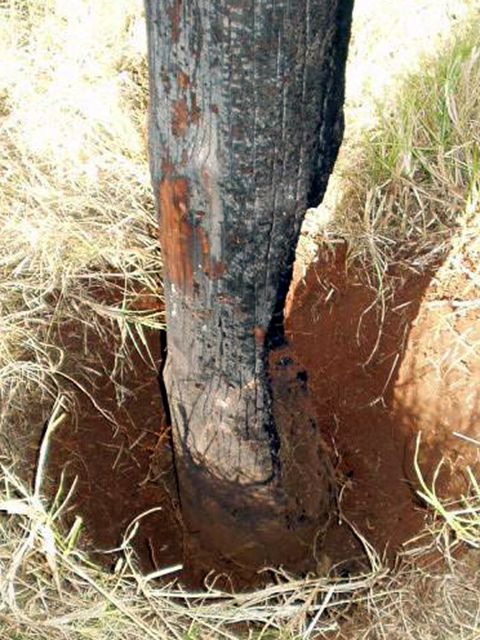 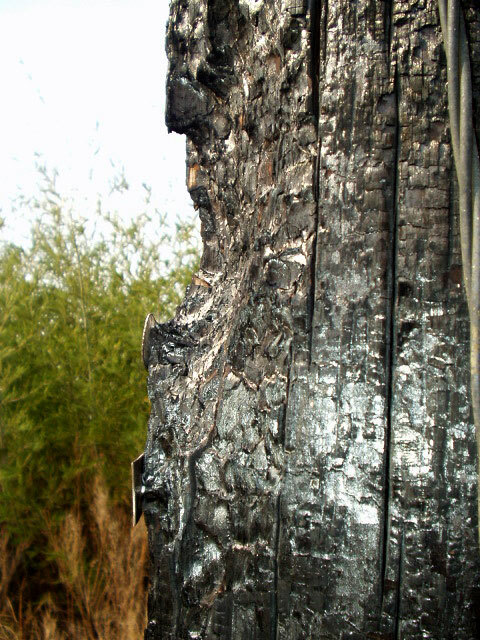 Wood poles are damaged by lightning, attacked by fungi and termites, or may crack and become dangerous over time. 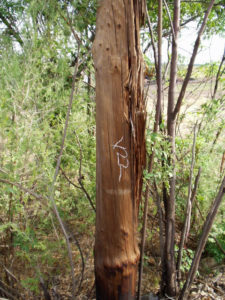 The poles are graded according to the level of the damage or decay and in line with the utility’s standards. Supplemental treatment is applied where and when required to eliminate or minimize attack by natural elements. 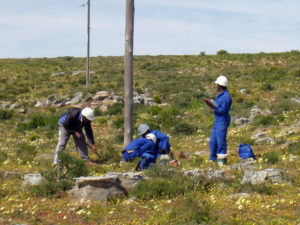 Information is captured electronically in a database with GPS co-ordinates to use in GIS systems. The data is processed and analyzed for easy interpretation by the client. Wood Pole Inspections is a preventative maintenance procedure adopted by Eskom and other utilities, to identify poles on the distribution system that need to be replaced. Idube inspectors have experience of more than 200 000 wood utility poles, inspected and treated. 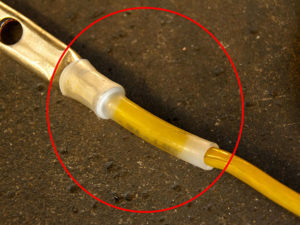 Included in our service is a comprehensive electronic data-base tailored to conform to the client’s requirements. Our inspectors are accredited by an independent SANAS approved body, to inspect wood poles in accordance with SANS 10324, as well as Eskom Standards. Idube Wood Pole Inspections Services forms part of our ISO 9001-2008 Quality Management System. 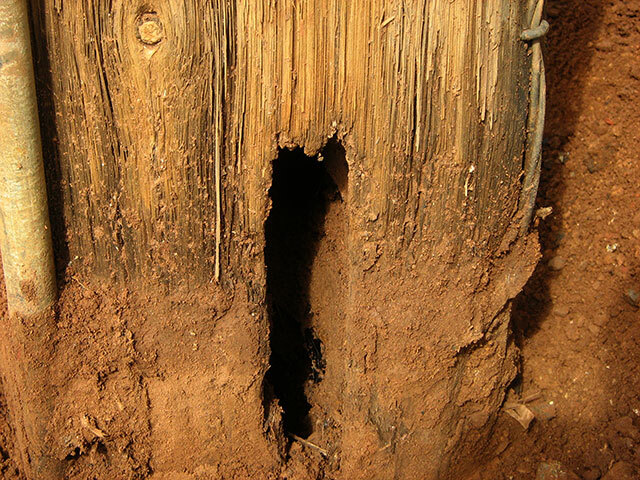 Photos of what we find in the field – Click on a photo to enlarge and view as a slide show. 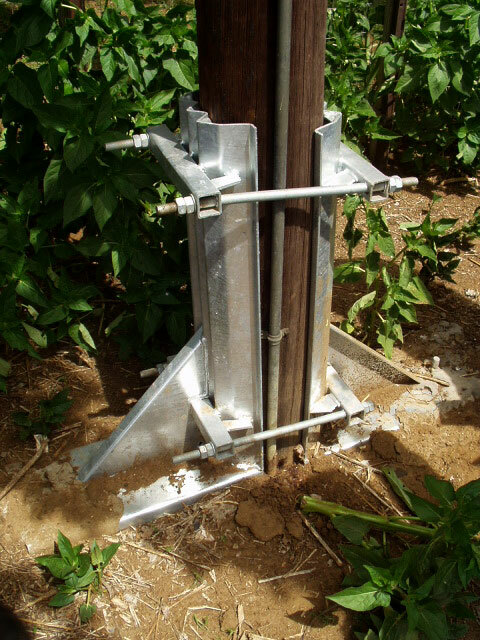 Steeltower footresistance tests are conducted to determine the effectiveness of the earthing of the overhead transmission and distribution lines. 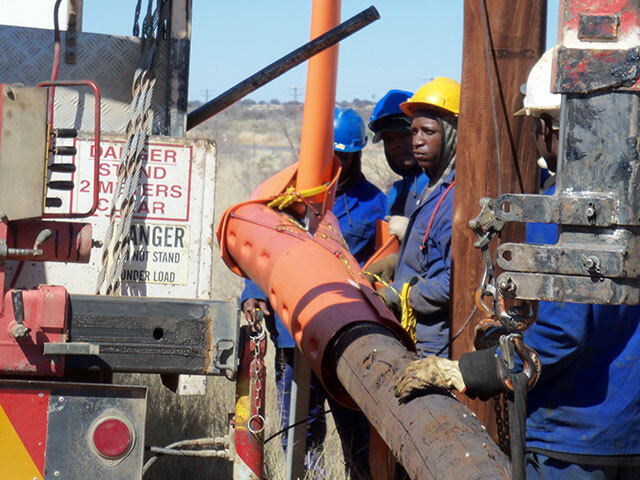 Specialized equipment is used, allowing the testing to be done whilst the lines are energized. This is a high frequency measuring method by eliminating the influence of adjacent tower earths. 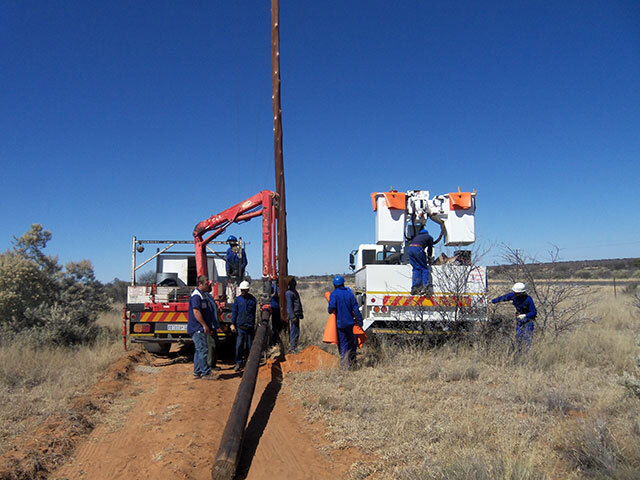 Our team has extensive experience, more than 500 towers tested for Eskom, as well as lines from Kelvin Power Station within Johannesburg area. 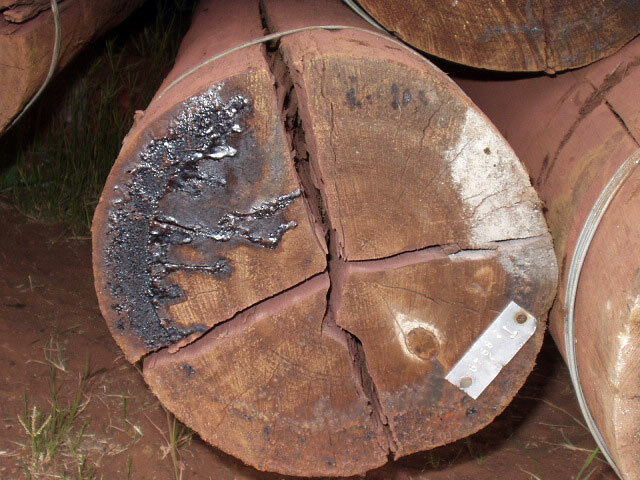 Test results are supplied in a comprehensive electronic GIS data base. 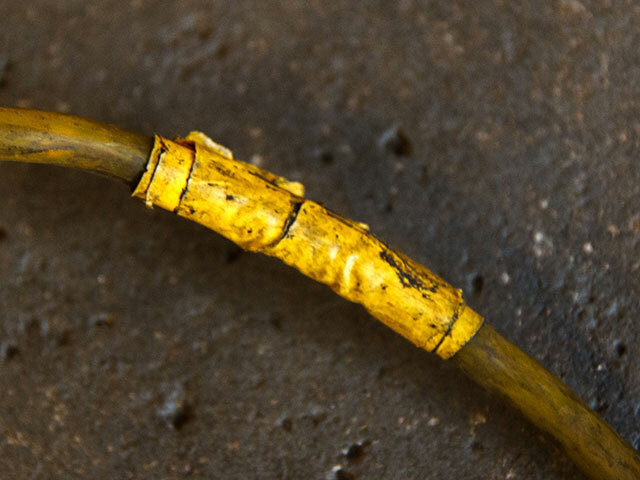 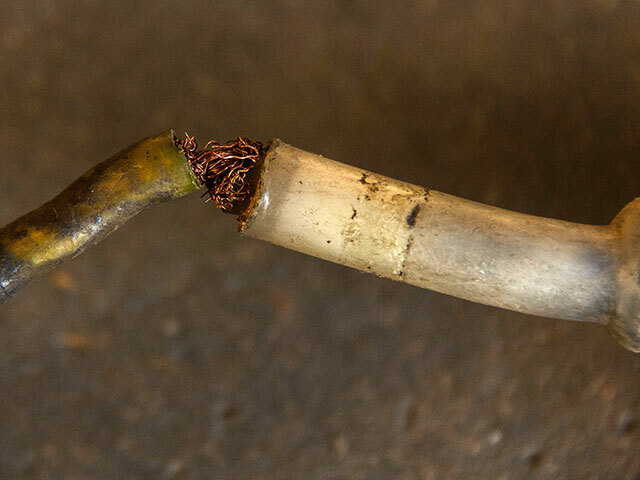 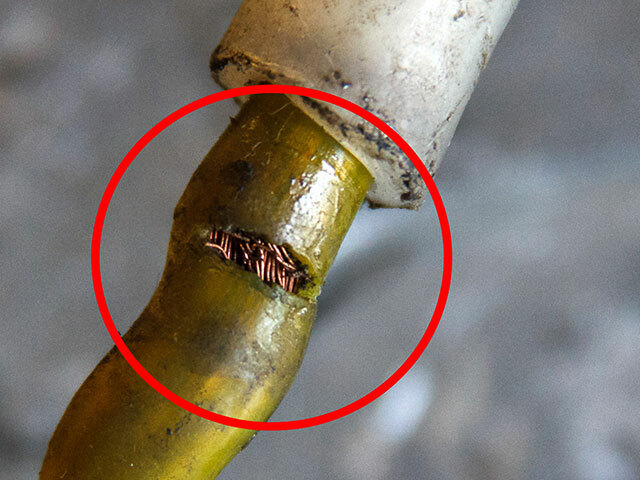 High Voltage Operating sticks or live line equipment such as Link Sticks need to be regularly inspected and tested to verify the insulation qualities and mechanical integrity. 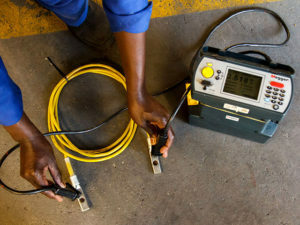 Idube Electrical has qualified personnel to test and repair CHANCE and HASTINGS Link sticks. 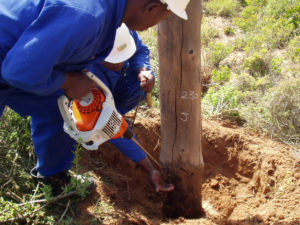 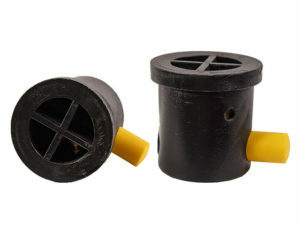 Portable earthing equipment shall always be visually inspected for mechanical defects before use. Any earthing equipment found to be defective in any way whatsoever, shall be recorded and handed in for maintenance, repairs and testing. Portable earthing equipment need to be inspected and tested regularly to ensure it is safe to use. 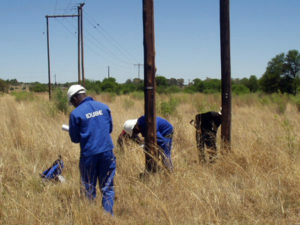 Idube Electrical, as a manufacturer of portable earthing, has the necessary personnel and equipment to do maintenance, repairs and testing. Typical examples of equipment that needs to be tested and repaired. 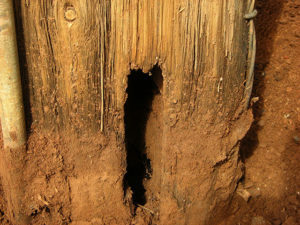 Click on a photo to enlarge and view as a slide show. 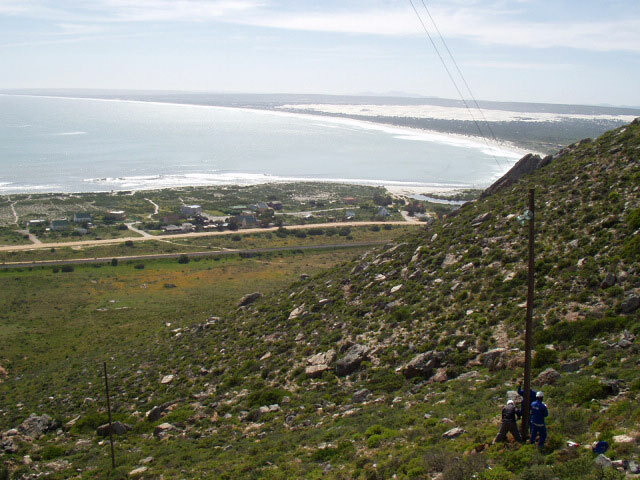 Idube Electrical is a leading supplier of electrical components, accessories and services to the African and International Transmission and Distribution Electrical Industry. 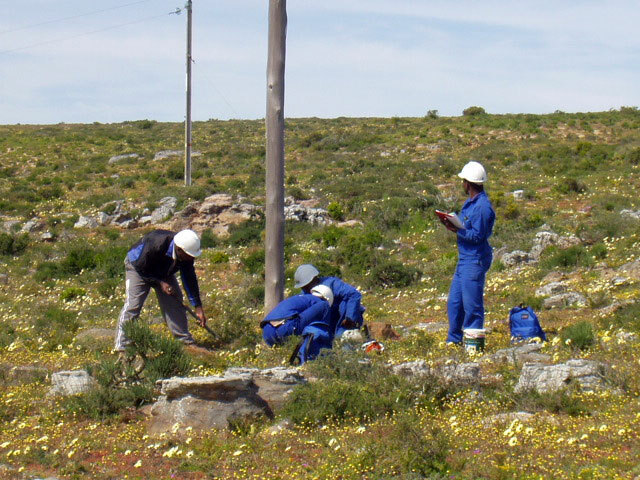 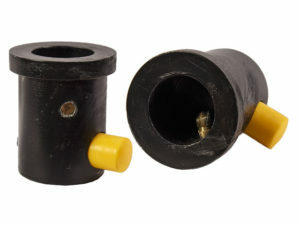 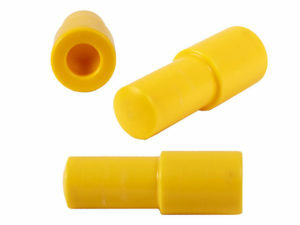 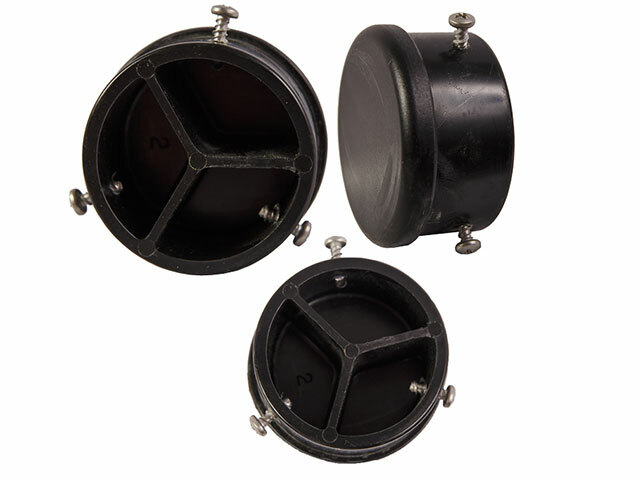 The company manufactures, supplies and installs portable earthing and related equipment. 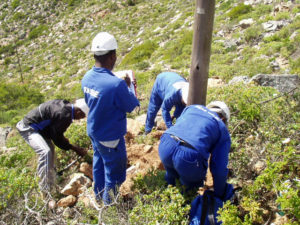 It provides a range of services and associated training in this field.